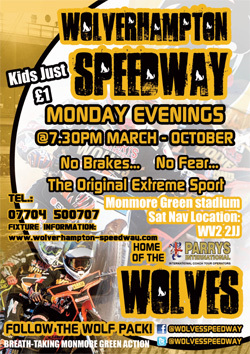 PARRYS International Wolves prevailed in a scintillating Midlands derby against Coventry at Monmore Green. A last heat 5-1 from Swedish stars Fredrik Lindgren and Peter Karlsson ensured Peter Adams’ side wrapped up a hard-fought 48-42 and condemned the Bees to their first away defeat of the season. 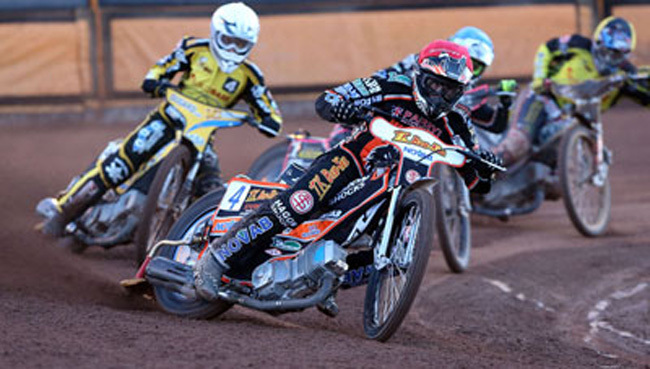 It was another superb night for Wolves as they continued their hugely encouraging start to the season and added three more points to their Elite League tally. 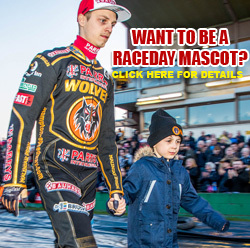 No.1 Lindgren was in inspired form, striking a faultless five-ride maximum, whilst new club record appearance holder Karlsson dropped just one point as the rain began to pour in heat 14. And maximum man Lindgren was in jubilant mood after leading his side to a memorable win over their local rivals. Said Lindgren: “I felt really good all night, and although I’ve had glimpses of that form in the first few meetings it was great to put it together in all five rides tonight. “It was much needed against a strong Coventry side, and we managed to beat them and get the three points which was great. 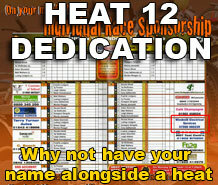 “We knew beforehand Coventry were going to be a really tough nut to crack because they’ve been so dominant this year. Although Lindgren and Karlsson playing starring roles, they received plenty of crucial support in what was another strong all-around team display. Ricky Wells put in a solid display from the No.2 spot, whilst Tobiasz Musielak claimed a spectacular race win against Chris Harris and Danny King in a breathtaking heat three. Reserve duo Lewis Blackbird and Josh Bates both put in solid displays to bolster the lower order – and although Jacob Thorssell endured a night to forget Wolves emerged with a well-deserved win. 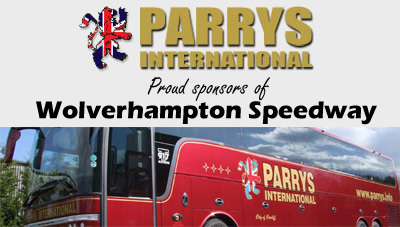 They will be back in action on Thursday as they travel to Swindon aiming to record their fifth consecutive win.